User-friendly, exact parameter settings and LED displays for displaying measured values. Versatility through option for switching between the power sources: system to system, system to generator or generator to generator. 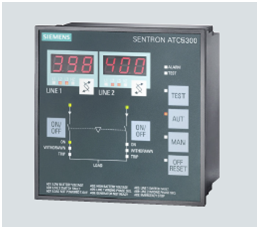 Easy programming using SENTRON SOFTWARE ATC. Integration into energy management system via RTU modbus. Generator test function for mandatory testing intervals.